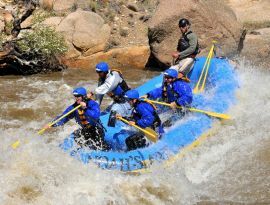 Join Noah's Ark for a rafting trip on Colorado's Arkansas River and discover one of the most incredible whitewater rafting experiences in the United States! Put our 36 years of industry experience to work to make your Arkansas River whitewater trip the best! 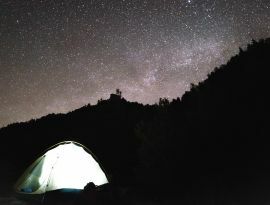 As the river forges a path through the Rocky Mountains and drops into Browns Canyon National Monument and the Royal Gorge, you will LOVE the incredible action, 14,000 ft. scenery, and beauty of Colorado. 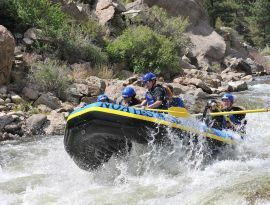 Our Arkansas River Rafting headquarters are located just south of Buena Vista, north of Salida, and 2 hours from Colorado Springs, Denver, Breckenridge, and Summit County. 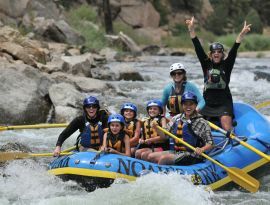 It is an amazingly versatile river, offering fun float trips for Colorado families and beginners, all the way to heart-pounding Class III-IV+ whitewater thrills for river enthusiasts. Now reserving for the 2019 season! Not sure which trip is right for you? Compare our rafting trips. 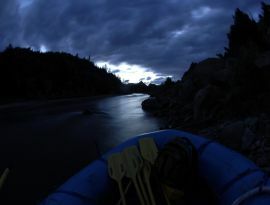 Or choose a package that includes rafting and save! 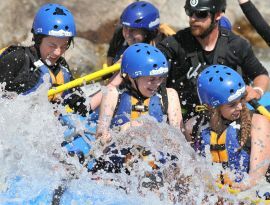 Spend the morning splashing through the Class III-IV whitewater rapids of the Arkansas River. After lunch at our riverfront property, head to Mt. Princeton Hot Springs Resort to soak in the natural hot springs next to Chalk Creek. First, you will raft through Browns Canyon National Monument before heading 45 minutes north of BV on Hwy 24 to the Leadville Colorado & Southern Railroad depot. Lunch is provided. This package includes a morning whitewater rafting trip on the Arkansas Rive, followed by lunch at our riverfront property before a 2-hour horseback ride with Mt. Princeton Riding Stables or Harvard City Stables. 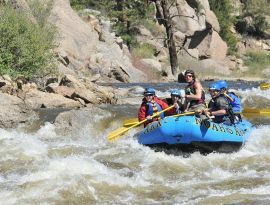 Start your 2-day adventure with a Full Day Rafting trip through Browns Canyon National Monument! On Day 2, join Spruce Ridge Llama Adventure Treks for an all day llama trek. Dinner and overnight accommodations not included. Rafting Trips run May - August. Read more about Rapid Classifications.